Metal Clips – Micro Forms, Inc.
Metal clips can be found in a wide range of applications and industries from the military and marine to aerospace and telecommunications, no matter where you turn you can be sure to find some form of application that utilizes metal clips. 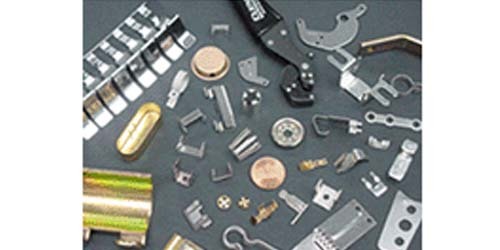 Because of this there is a great deal of variety and options when it comes to metal clips, if you are uncertain of what type of metal clip is best for your application, consult a leader in the metal clip manufacturing industry and they will be able to guide you to the best possible solution. There are a number of different types of metal clips such as spring clips, clasps, latches, clamps and catches. Latches are commonly used to fasten down windows, cabinet doors and other similar items. Clamps can be utilized for many of the same applications as other clips, but are used in more heavy duty applications as well. Spring clips are one example of metal clips, and they can be used to hold cables, fasten molding trim, and tighten fabrics in addition to being used to assemble certain cover panels and hinged components. 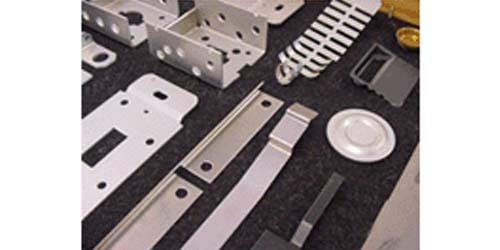 These products are typically formed through the use of the metal stamping process and are often made from a wide range of metals ranging from carbon steel to bronze and everything in between. The material choice is strongly dependent on the application requirements, as a metal such as aluminum is great for a lightweight application whereas if you are looking for something a little more heavy duty you would turn to a cold rolled steel metal clip. Consulting with a dependable metal clip manufacturer is a great way of finding out what type of metal clip you need for your application. If you are currently unsure of what your application calls requires or you simply want to weigh the different options and advantages of the variety of materials and styles of metal clips, a metal clip manufacturer can give you valuable insights and help decide on the right solution for you. Metal Clips Metal clips are the alternative to plastic clips, and offer a number of advantages over plastic clips as they are able to hold significantly more. On top of being able to hold more weight, certain metal clips that are made from stainless steel offer natural resistance to environmental conditions along with improved durability and strength over plastic clips.